We are Manufacturer, Supplier, Exporter of Low Resistance Jig. This product also known as Low Resistance Standards. We are also specialized in Calibration Services ( Calibrator ). Our setup is situated in Pune, Maharashtra, India. 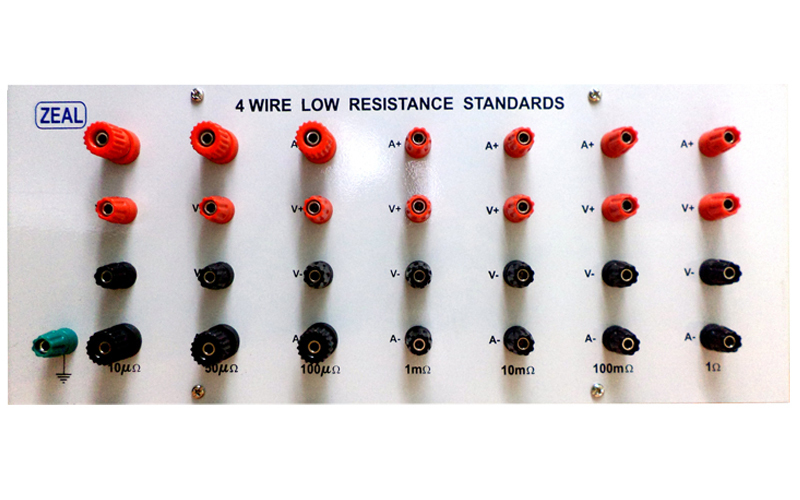 Four wire low resistance standard is a source of fixed low resistances of different values from micro - ohm to milliohm. Four wire measurements are best for low resistance measurements. Current is pumped ( through A+ and A- binding posts ) and voltage drop is measured ( across V+ and V- binding posts ). Using formula R = V/I,resistance is calculated.